"...there shall be a time of trouble, such as never was since there was a nation even to that same time: and at that time thy people [Daniel's people: 'Israel' (v.9:20)] shall be delivered..."
"How long shall it be to the end of these wonders?" "it shall be for a time, times, and an half; and when He shall have accomplished to scatter the power of the holy people, all these things shall be finished." "I heard, but I understood not: then said I, O my Lord, what shall be the end of these things? And he said, Go thy way, Daniel: for the words are closed up and sealed till the time of the end." "from the time that the daily sacrifice shall be taken away, and the abomination that maketh desolate SET UP, there shall be 1290 days." "And to the woman were given two wings of a great eagle, that she might fly into the wilderness, into her place, where she is nourished for a time, and times, and half a time, from the face of the serpent. (Rev 12:14)"
"And the woman fled into the wilderness, where she hath a place prepared of God, that they should feed her there 1260 days. 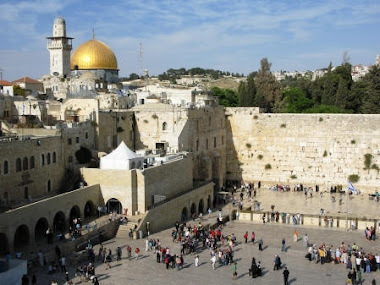 (Rev 12:6)"
"When ye therefore shall see the abomination of desolation, spoken of by Daniel the prophet, stand in the holy place, (whoso readeth, let him understand:) Then let them which be in Judaea flee into the mountains:"
"And when ye shall see Jerusalem compassed with armies, then know that the desolation thereof is nigh. Then let them which are in Judaea flee to the mountains; and let them which are in the midst of it depart out; and let not them that are in the countries enter thereinto. For these be the days of vengeance, that all things which are written may be fulfilled. (Luke 21:20-22)"
"Blessed is he that waiteth, and cometh to the thousand three hundred and five and thirty  days. (Dan 12:12)"
"Behold, I shew you a mystery; We shall not all sleep, but we shall all be changed, In a moment, in the twinkling of an eye, at the last trump: for the trumpet shall sound, and the dead shall be raised incorruptible, and we shall be changed. (1Cor 15:51-52)"
"For the Lord himself shall descend from heaven with a shout, with the voice of the archangel, and with the trump of God: and the dead in Christ shall rise first: Then we which are alive and remain shall be caught up together with them in the clouds, to meet the Lord in the air: and so shall we ever be with the Lord. Wherefore comfort one another with these words. (1Th 4:16-18)"
"But in the days of the voice of the seventh angel, when he shall begin to sound, the mystery of God should be finished, as he hath declared to his servants the prophets. (Rev 10:7)"
"And I looked, and, lo, a Lamb stood on the mount Sion, and with him an hundred forty and four thousand, having his Father's name written in their foreheads. And I heard a voice from heaven, as the voice of many waters, and as the voice of a great thunder: and I heard the voice of harpers harping with their harps: And they sung as it were a new song before the throne, and before the four beasts, and the elders: and no man could learn that song but the hundred and forty and four thousand, which were redeemed from the earth. These are they which were not defiled with women; for they are virgins. These are they which follow the Lamb whithersoever he goeth. These were redeemed from among men, being the firstfruits unto God and to the Lamb. (Rev 14:1-4)"
"And after these things I saw four angels standing on the four corners of the earth, holding the four winds of the earth, that the wind should not blow on the earth, nor on the sea, nor on any tree. And I saw another angel ascending from the east, having the seal of the living God: and he cried with a loud voice to the four angels, to whom it was given to hurt the earth and the sea, Saying, Hurt not the earth, neither the sea, nor the trees, till we have sealed the servants of our God in their foreheads. And I heard the number of them which were sealed: and there were sealed 144,000 of all the tribes of the children of Israel. Of the tribe of Juda were sealed twelve thousand. Of the tribe of Reuben were sealed twelve thousand. Of the tribe of Gad were sealed twelve thousand. Of the tribe of Aser were sealed twelve thousand. Of the tribe of Nepthalim were sealed twelve thousand. Of the tribe of Manasses were sealed twelve thousand. Of the tribe of Simeon were sealed twelve thousand. Of the tribe of Levi were sealed twelve thousand. Of the tribe of Issachar were sealed twelve thousand. Of the tribe of Zabulon were sealed twelve thousand. Of the tribe of Joseph were sealed twelve thousand. Of the tribe of Benjamin were sealed twelve thousand. (Rev 7:1-8)"
"And the sixth angel sounded, and I heard a voice from the four horns of the golden altar which is before God, Saying to the sixth angel which had the trumpet, Loose the four angels which are bound in the great river Euphrates. And the four angels were loosed, which were prepared for an hour, and a day, and a month, and a year, for to slay the third part of men. (Rev 9:13-15)"
+ 45 = 1726 Days + "an hour"
By my calculations, starting with "the standing (or setting up) of 'the abomination of desolation, spoken of by Daniel the prophet'" up until The 6th Trump (Rev 9:14) is 1726 days (+ an hour). Not counting the 30 day set-up, Israel's "time of trouble" is 1,696 days (+ an hour). This 1,696 days appears to be the portion of Great Tribulation known as "Jacob's Trouble (Jer 30:7 & Dan 12:1)"
"Yea, he [antichrist] magnified himself even to the prince of the host, and by him the daily sacrifice was taken away, and the place of his sanctuary was cast down... Then I heard one saint speaking, and another saint said unto that certain saint which spake, How long shall be the vision concerning the daily sacrifice, and the transgression of desolation, to give both the sanctuary and the host to be trodden under foot? And he said unto me, Unto 2300 days; then shall the sanctuary be cleansed. (Dan 8:11-14)"
This 2300 day period begins at the time of 'the abomination of desolation, spoken of by Daniel the prophet' and it ends when Jesus Christ returns. I believe this explains how the sanctuary is "cleansed"(at Mt. Zion, Rev 14:1, Rev 11:15). 2300 days - 1696 days = 604 days (minus the hour). By this, the 144,000 will be completely sealed before the sounding of the 6th Trump. Between 603-604 days later the 7th Trump of The Book of Revelation sounds. That’s 20 Jewish months (20 x 30 = 600) with 3+days left over for the resurrection of the "two witnesses (Rev 11:3-12)" and God's "hour" of wrath (Rev 18:10). That's a lot of information to compehend. I tried following along but am completely lost. I think I'll break it into 3 sections. This is really a Bible study that should be considered bit-by-bit with Bible in-hand.